Air conditioners need to be well maintained and regularly serviced. When there are problems they should be repaired by a skilled, knowledgeable, and experienced repairman. 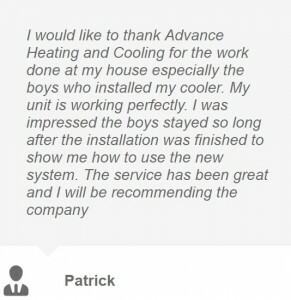 If you are looking for air conditioning repairs, then Advance Heating & Cooling is able to offer quality professionals to assist you. Air conditioning units have been in use for many years. Previously in many homes and offices, they were often installed in windows or people used portable air conditioners, unless there was a centralised ducted system installed. The old systems were a metal box and they were installed in windows as this was the easiest way to put them in. If they were in the window, the hot air from the cooling process would be expelled outside as the cool air was blown in by a fan. Often these systems were noisy and they were not always very effective. They used basic refrigeration technology and the motors were loud and not very efficient. In some of the older office buildings, they did not have air conditioning systems and often you would see multiple air conditioning units in windows of various offices in the buildings. This was not a very attractive site for buildings, but it was the only alternative available. Now, most buildings will have a centralised air conditioning system as part of the design and fit out of the building. Most of the air conditioning systems in large buildings will have been specially designed and need to be maintained by skilled professionals who have a detailed understanding of how those systems work. If they are not looked after, then things can go very wrong and they can be very expensive to repair. In recent years there has been a new development in the air conditioning environment that has been particularly effective for use in residential cooling. It is suitable for new buildings and it is very effective if you need to retrofit an older property. The ductless or split system is very simple in concept and very efficient. In fact, it has the potential to be substantially more efficient than a ducted system. It is likely that you would have seen one of these systems in use with the distributors mounted on the wall inside becoming fairly commonplace. They are very popular and they have been through a period of development and improvement so that they are now very efficient and quiet. The correct installation is very important. 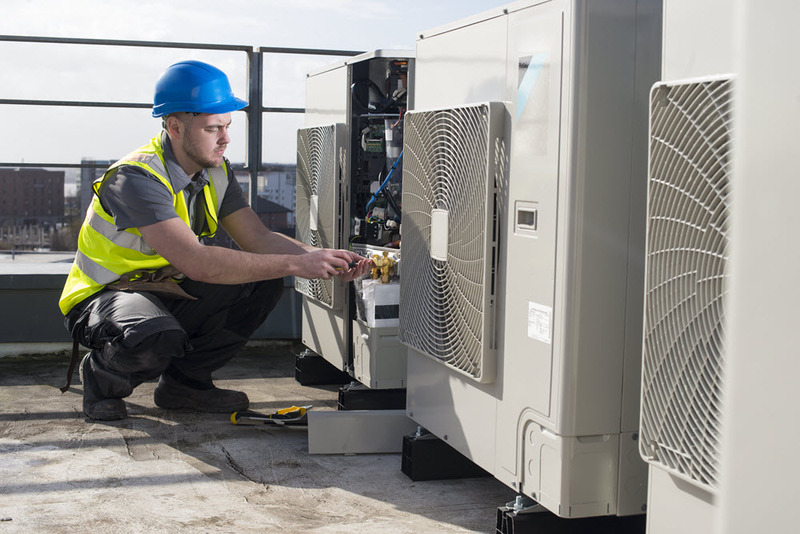 They will operate effectively for many years if they are installed correctly if they are maintained well if they receive regular servicing, and if there are any problems, then they are repaired by skilled an experienced air conditioning service staff. Some of the maintenance work is able to be undertaken by the owner. The systems usually have filters that are able to remove dust and allergens from the air. These filters will often be able to be easily removed, washed, and then reused. However, these are reasonably complex pieces of equipment and more involved work will often require professional diagnosis and technical repairs. If you have a ducted air conditioning system, then this can have some complex design components. The basic concept is similar to that for the use of the ductless systems. However, there are additional considerations with the ducting and how this has been designed and installed. The compressor will function in a similar way for both systems and the cooling takes place with air passing over a coil holding the chilled coolant that has been brought into the system from the external compressor. However, with the ducted system there are often some complex and expensive elements associated with the installation of the ducting and also it is possible that cooling zones have been created in the house that are electronically controlled by thermostats. A properly trained and experienced professional will be able to accurately diagnose the issue with the air conditioning system and then undertake the necessary repairs. These systems will usually require specific tools and equipment for repairs. The manufacturers will have slightly different requirements and a professional repairer will have access to the appropriate tools for the different systems they work on. It is also important to remember that some of the parts in these systems are relatively delicate and it would be easy for an inexperienced person to damage them. A professional air conditioning technician will have all the necessary licenses to undertake repairs and maintenance on your cooling system, whether it is ducted or a ductless system. They should also have suitable workers compensation coverage and business insurance so that if anything happens during the repair work they are covered and your equipment will be covered as well. If you choose a company to do the servicing who has also provided you with the equipment and installed it for you, then you have the confidence of continuity in the service and that they should be very familiar with the system. There will also be warranty coverage that should be met as the work being done is by a professional service person. They may even offer you a good arrangement for servicing that will save you some money over time. 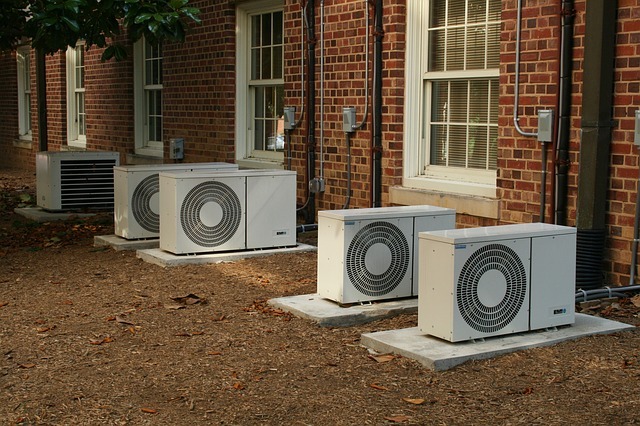 Suitable installation and servicing will extend the life of your system and ensure that it continues to operate efficiently and reliably so you can be confident that when summer comes it will provide you with the cooling you need in your home. If you need air conditioning repairs, Advance Heating & Cooling have skilled and experienced technicians who will be able to assist you. Contact us today by calling (03) 9310 1990 to request a quote.